The post was edited 1 time, last by sleeper1979 ( Oct 16th 2016, 7:48pm ). Freeroll time again! Don't miss the chance for a little extra cash. Good luck to all participants. Password will be announced 15 minutes before the tournament starts. 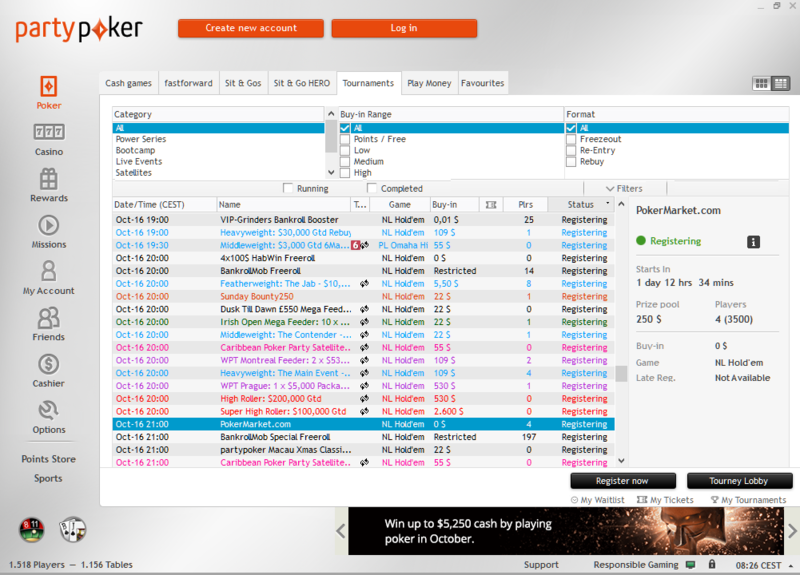 how do I become a user do I can have access to the freeroll Tournament? 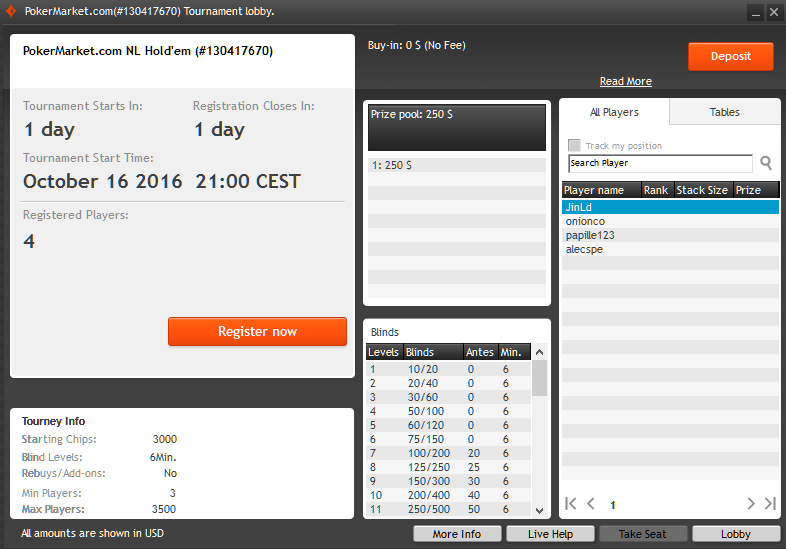 @sleeper1979 why i dont have still pass i see 11 persons on tournament ? First post is updated. Good luck & have fun.